This week in my watercolour class we painted mandalas. We started out by making an 8 part circular grid, laying a blank piece of paper on top of it, then drawing our repeating shapes using the grid underneath as a guide. 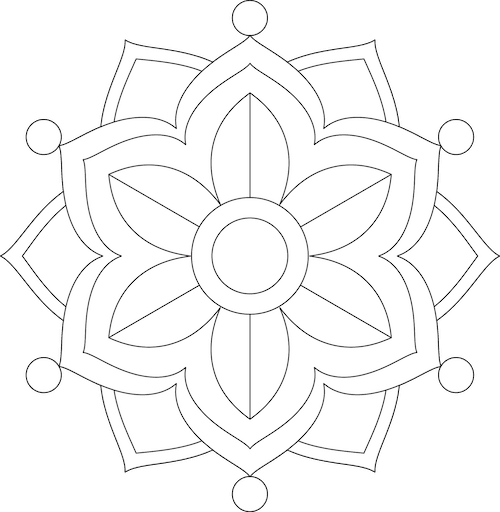 When that was finished we put our newly drawn mandala and watercolour paper on a light box and then traced the design onto the watercolour paper. The next step was to trace over our pencil lines with a micron pen and then erase all the pencil lines. It was a bit of a process but VERY relaxing. Afterwards we were told to think of the mood we wanted to express and then choose the appropriate colours. I decided to go for a more serene look so I chose blue, magenta and shades of purple. We were instructed to paint each section fading from darker to light so that there'd be a feeling of movement. When I got home I decided to make another one, only this time I used brighter colours, as you can see. There was a lot of layering involved with this painting because my initial attempt was too pale for my liking. 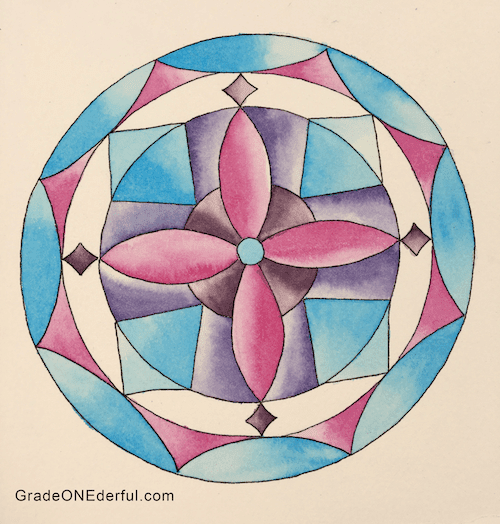 For this mandala, I decided to paint the sections darker in the middle and then fade out to the edges. 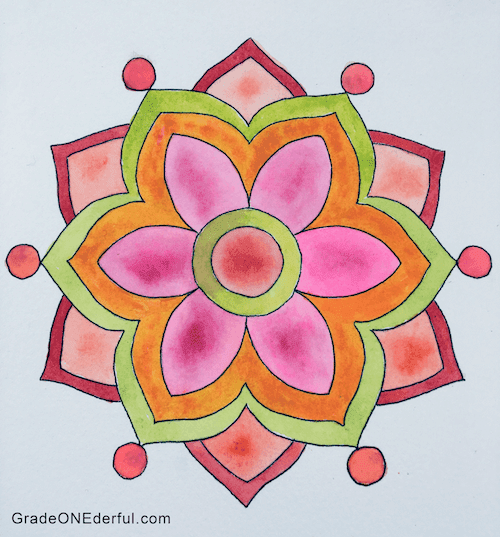 If you'd like to paint mandalas in your class, you can grab this free template I made. It's a bit on the smaller side, so you may want to enlarge it on your photocopier, especially if little hands are going to be painting it. Be sure to sign up for my newsletter and receive an 81-page set of math sheets. You can read about it in this post. Love, love, love this Barb! Your mandals are amazing. I never thought of painting them with the kids. I see this in our future! Thanks Janice! You made my morning :) I forgot to say in my post to be sure to let each section dry before painting the one next to it and, if possible, watercolour paper is best. Have fun!